Dehradun: Veteran all-rounder Mohammad Nabi said on Monday that Afghanistan have world-class spinners and are capable of beating any Test side in the world if their batting clicks. Nabi’s comments come after Afghanistan registered their first ever Test triumph following their seven-wicket win over Ireland in Dehradun. 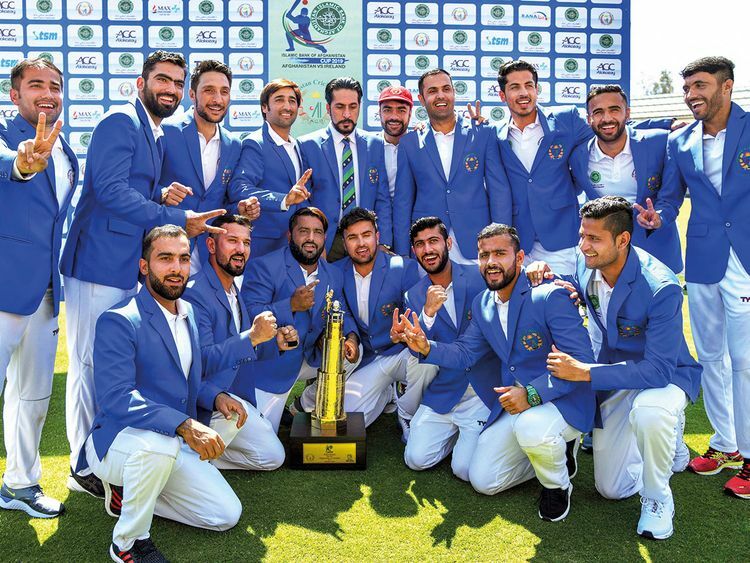 Afghanistan, who lost their debut Test to India in just two days last year, joined an elite list of cricketing nations after winning their second five-day game. “It’s a very historic day for whole of Afghanistan. Especially for those guys who bring cricket from zero to the Test cricket. We played two games and we won one,” Nabi said. “When you win, then teams will tell you to come and play with them. Nobody plays a weak team. They might think that Afghanistan is weak but not so much that we can’t fight them. “We have the world’s best spinners and we try to concentrate on our batting line-up. If we can put up a good score on board then we are confident of beating any team in the world,” he added with a smile. Shah, who hit his second fifty of the match after making 98 in Afghanistan’s first innings score of 314, and Janat put on a match-winning stand of 139 for the second wicket. Star leg-spinner Rashid Khan also played a key role in his team’s historic triumph after returning career-best figures of 5-82 to bowl out Ireland for 288 in their second innings. “Every format is different. Test has a different flavour to it. We played a lot of T20 and one-day matches and won but Test win was first,” said the 34-year-old Nabi. “The way our guys performed in batting and bowling, the kind of comebacks that we did. It shows we are ready for Test cricket. Ireland: 172 (Tim Murtagh 54*; Mohammad Nabi 3/36) and 288 (Andrew Balbirnie 82; Rashid Khan 5/82) lost to Afghanistan: 314 (Rahmat Shah 98; Stuart Thompson 3/28) and 147/3 (Rahmat Shah 76, James Cameron 1/24).